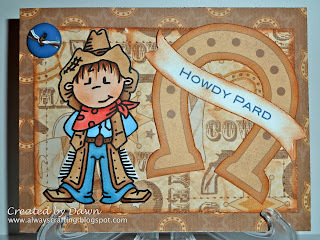 This is a bugaboo image and the papers used on this card is by DCWV "all about boys" stack. I used distress ink "tea dye". I like the horshoe a lot. 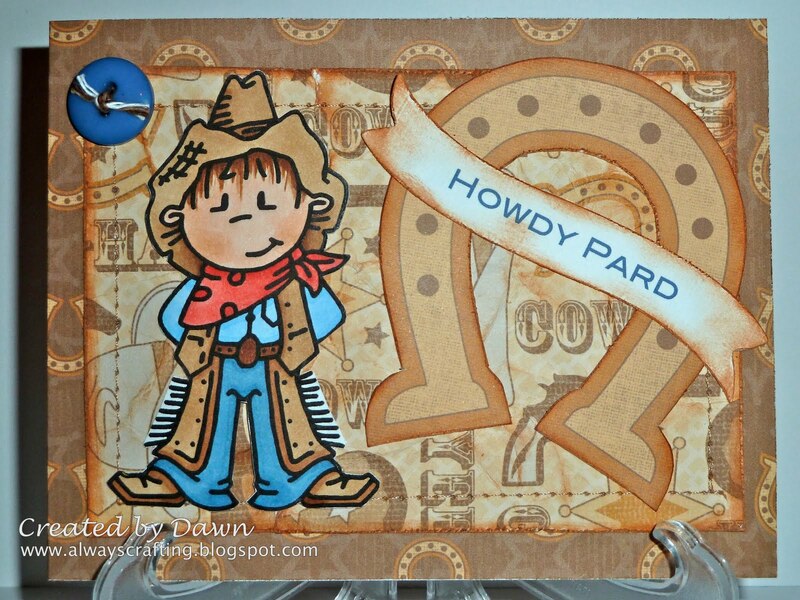 A great embellishment and matches the Bugaboo Cowboy perfectly. Thanks for joining in with us at Bugaboo for our Graduation and Celebration theme at Catch The Bug. Nice card for a boy! I'm always more stumped with boys cards. Your distressing looks great. I think your card came out GREAT!